WASHINGTON — This fuzzy fool isn’t doing his film friend Rocket from “Guardians of the Galaxy” any favors in the respectability department. A raccoon on Long Island fumbled around a Farmingdale, New York neighborhood with its head lodged in a peanut butter jar Sunday. 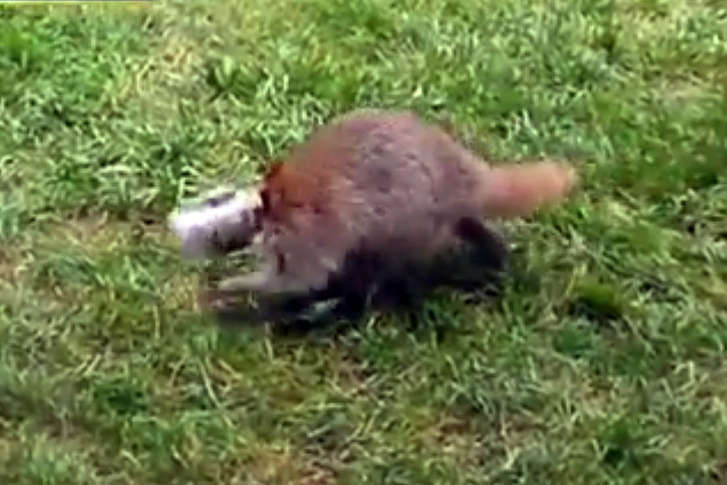 The family who found the beguiled trash-panda posted a video of the rascally raccoon to Facebook after calling authorities who, with gloved hands and a snare, freed the curious critter.